The tenor register of the cello — the part of the A-string that spans between fourth position and the upper positions — can be tricky to navigate. Many of us fear shifts on the “cusp” of the neck and upper positions because the body of the instrument feels like an obstacle to be overcome. Recently, I was teaching repertoire to two students of very different levels of advancement, but the problem was the same: approaching a note above the A-string harmonic from the neck position. One student, a mature beginner, was studying Tchaikovsky’s Chanson Triste; the other, a music graduate, was studying an excerpt from Brahms’s Symphony No. 2. In spite of their radically different experiences, both experienced a lot of anxiety about “nailing” the shift in tune. There are two factors that go into the success of this type of shift. The intermediary that helps us measure the shift: our old friend the A-string harmonic. Most of us can find this place with no trouble at all because we use it so much for tuning, etc. I wrote the following exercise for Chanson Triste to teach the shift. Follow this simple four-step process and you’ll never miss it again! 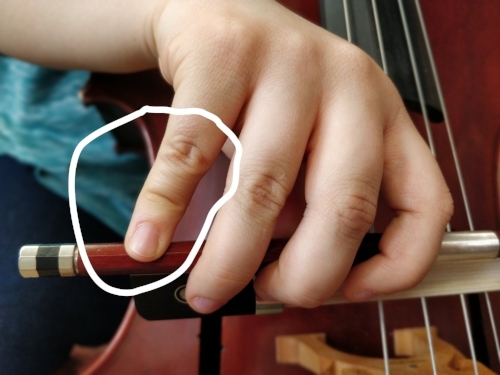 Measure the distance of the shift by using the second finger to travel between F and the A harmonic. Check that the arm’s elevation is consistent. What is the most economical trajectory your arm, hand, and finger than make between these two pitches? Add a B-flat with the third finger, stopping on the A harmonic with your second finger on the way to the B-flat. The A is the intermediary step between F and B-flat. Practice the shift from 2 on F to 3 on B-flat with a “ghost” A between them. That is, imagine where the A is, but don’t actually play it. Now attempt the Tchaikovsky passage itself, remembering steps 1, 2, and 3. A fifth step: rejoice in your success! Now repeat the successful strategy many, many times. If you still randomly miss the shift in among correct executions, go back to the first step and figure out what’s going wrong. Your ability to perform this skill depends on how you teach it to yourself in practice, so only practice the correct way. 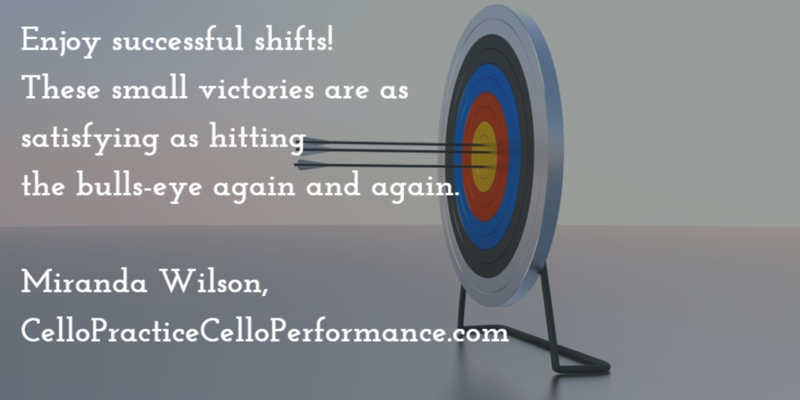 Enjoy successful shifts! These small victories are as satisfying as hitting the bulls-eye again and again in target practice. 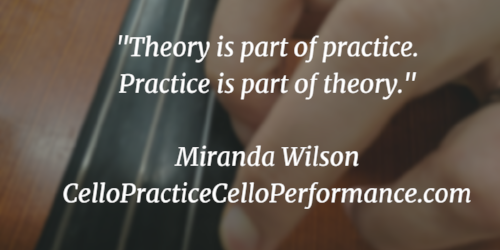 “How should I practise?” This is the most frequently asked question of cellists at all levels. It’s far more common than “How many hours a day should I practise?”, because we all know the answer to that one: that is, as many hours as we want to, need to, and can feasibly devote without neglecting our human needs and human responsibilities. I devoted most of my book, Cello Practice, Cello Performance, to strategies for quality practice that works toward a performance goal, and in doing so I made the assumption that the reader had a lot of practice time. Throughout the chapters, I suggested methods for the most efficient uses of our bodies in the service of expressive interpretation. Today, I want to follow up on these with some perspective about planning and purpose in the practice room. The real question isn’t about how to practise. It’s about what practice is for. On the most basic level, the answer to this question is that practice is supposed to make you better. Therefore, every practice session must work on producing and re-producing sounds that will compel a listener to keep listening. 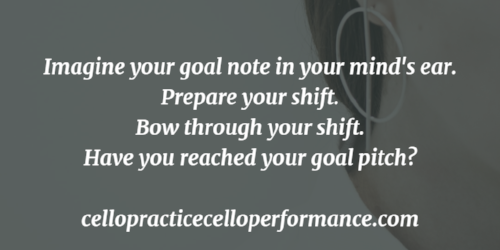 Every cellist has their own specific goals and structures for practice, and that’s great. But good practice needs only two broad goals. I call them the twin goals. If you use them — searchingly and mindfully — every time you practise, you’ll improve. Fundamentals. The fundamental building brick of music-making is your sound. Intonation is an inextricable part of sound. Vibration, however you augment it or don’t augment it, is part of sound. This is why practice must always encompass the basic movements that go into the service of expression. 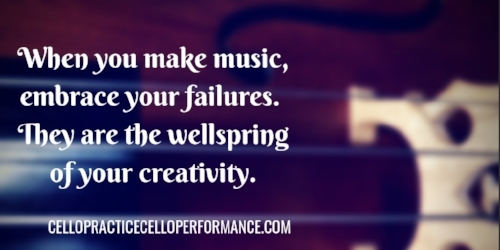 Musicianship, without which there is no point in making music. We must read and know and comprehend full scores so that we can accurately render pitch, rhythm, and form — in other words, the small- and large-scale architectures of what we’re trying to express. All cellists who practise using twin goals will get better. Some cellists have more practice time than others, so it’s only logical that those who practise more using these twin goals will get better than those who practise less. If you have an important recital or audition coming up, of course you’ll practise more. If you’re recovering from an injury and attempting to change your fundamental movements, you’ll practise less. And that’s OK. The twin goals make even a five-minute practice session worthwhile. There are some occasions when we cannot work on both skills in practice. 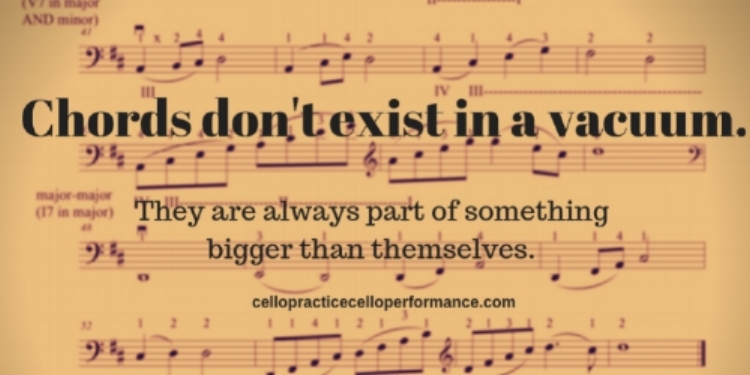 Sometimes we may be without a cello — whether it’s on vacation, or because of injury — but we can still sit with a score and increase musicianship that way. There are occasions when we have neither a cello nor a score, but if we’re determined nothing can deter us from practising. Even trapped in a plane seat on a long-haul flight, lying in a hospital bed, or — God forbid — in prison, a musician can practice by virtue of memory and imagination. There is evidence that musician prisoners held captive for several years can avoid breakdown by obsessively going over and over the motions of playing an instrument in their minds, by thinking so hard about musical scores that given a pencil and staff paper, they could write down a full symphony from memory. I find this incredibly powerful. Music and memory and hope are what makes this all worthwhile. Music consoles us, energizes us, keeps us alive. I love to begin a fundamentals workout with shifting exercises, since the process of getting from note to note isn’t necessarily straightforward. 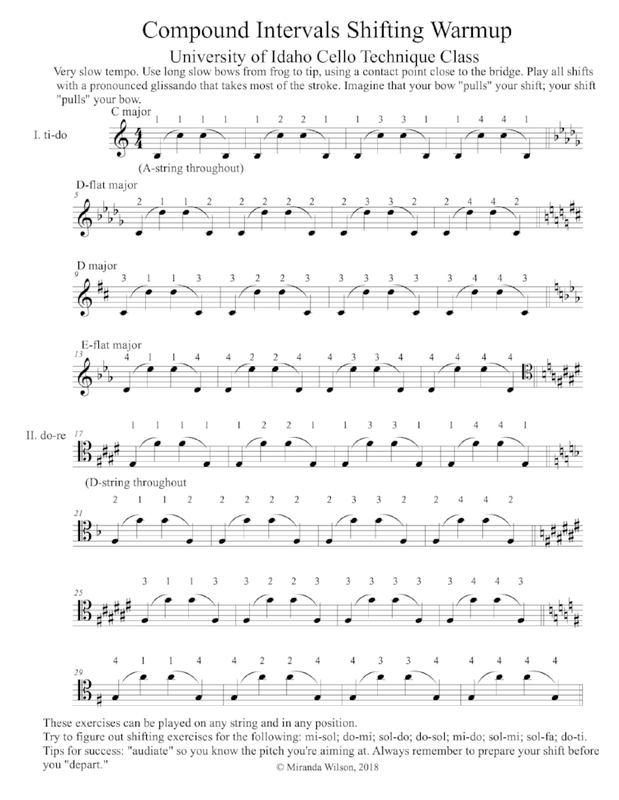 In Cello Practice, Cello Performance, I wrote some exercises in shifting between first and fourth positions, and another shifting exercise dealing with octave shifts in a variety of fingerings. These exercises comprise part of my daily workout, and the purpose of them is to help me feel absolutely comfortable with the goals, mechanics, and success rate of shifting. What do I mean by “goals”? Well, when you have a big shift, you have to know what you’re aiming at. What pitch are you trying to hit, and how will you know if you’ve done it accurately? Therefore, this is an exercise in shifting and thinking. For this reason, I highly recommend the study of moveable-do solfege, a method of speaking the principles of theory so that you can navigate all the intervals with ease. Audiate — imagine in your mind’s ear — what your goal note sounds like. 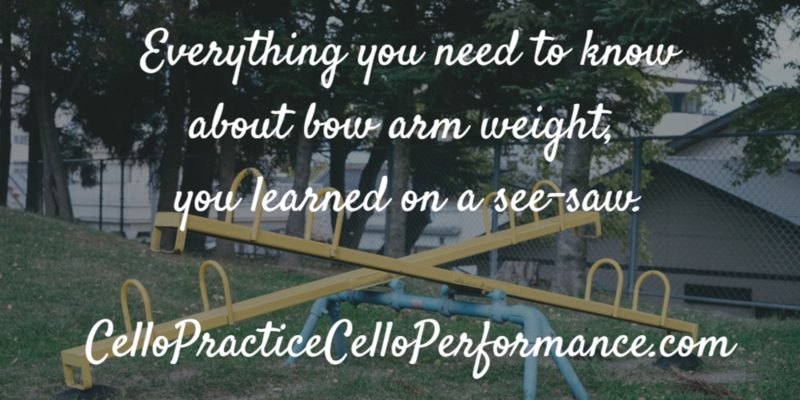 Make sure you prepare your shifts with the slight backward pull (see Cello Practice, Cello Performance for details) that will give your arm the release it needs to shift. All the while, bow “through” your shift — remember, “all techniques are both-hand techniques.” Learn how far you must measure and judge your distance from note to note. Audiate again: have you reached the goal pitch? Click here to download a higher-resolution version of this exercise for free. There are some things that are quite common in beginning cello pedagogy that I don't like much. The beginning bow hold with the thumb under the frog, for example, which teaches--for no good reason--a habit that has to be unlearned later. 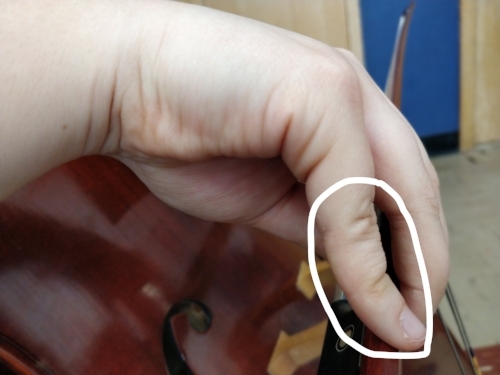 Another is the "left thumb as anchor," which teaches little hands to hit pitches chronically out of tune, and little ears to accept this poor intonation. I know why some otherwise good teachers are doing these things: because we all want to get a student set up with decent hand shaping so that they can advance to playing pieces quickly and not get bored and quit. 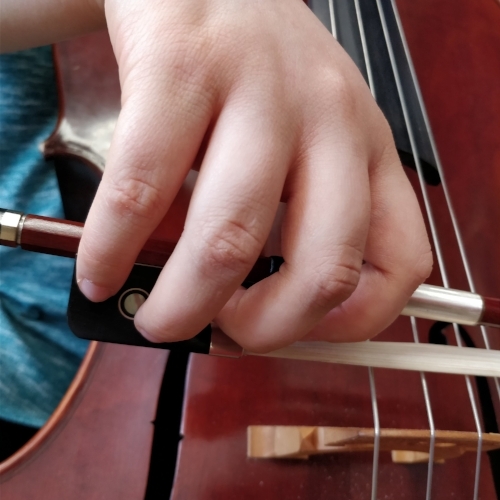 But the fact is, poor setup leads to fundamental misunderstanding of how the body can be used to our advantage in playing the cello, and this in turn sets the student up for endless technical challenges later on. Spider is a fun game, but what's so great about it is that it's practically impossible to do it with a bad bow-hold. I know this, because I just tried to do it. I tried supinating my hand, and almost dropped the bow! I tried spreading my fingers in a widely-spaced, tense "claw," and I couldn't "walk" my fingers at all. I tried wedging my fingers together in a salute, and couldn't do it that way either. I tried "bracing" my fourth finger hard against the bow, and nearly whacked my bow into the wall. 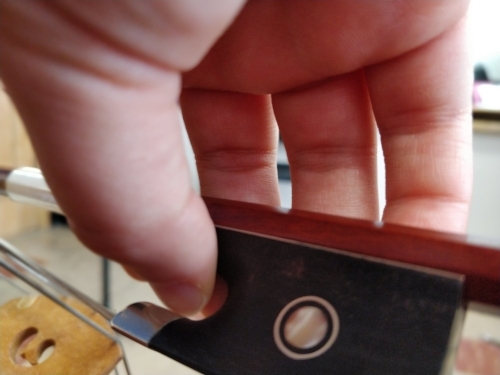 Holding the bow in a vice-grip? Neglecting to curve the fingers? Those don't work either. Spider quite simply trains you to keep your fingers naturally spaced, curved, and relaxed on the bow, with thumb opposing the middle fingers, and the whole hand slightly pronated, playing-style. There's a reason for the hand shaping we have collectively deemed to be good for holding the bow--it's because our hands want to do it naturally. The takeaway from this is that despite all the misinformation about cello technique, there are certain exercises that are never-fail "resets" for your technique. Of which the ever-helpful Spider is one. Want to know more about these resets? Check out Chapter 2 and Chapter 4 of Cello Practice, Cello Performance.